So if you’re bored, don’t waste another minute. If your church service feels like a failed pep rally that never leads to the actual game, then it’s time for you to follow Jesus onto the field where the opposition is real and the stakes are extraordinary. It will get messy. It won’t always be comfortable. But you’ll make a difference. And you’ll discover that nobody’s bored out there. Nobody. I strongly recommend this book for college students and young professionals. 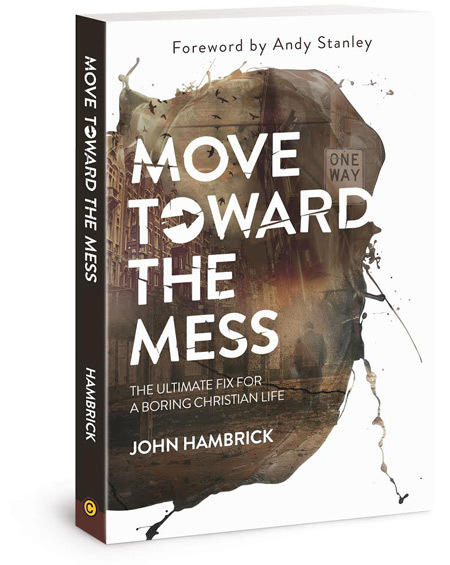 If 18-30 year olds start moving toward the mess now, there will more possibility for lasting impact. This book is written to inspire and guide you to live in a way that is engaging, that is memorable, and that makes a difference. Buy it for yourself, buy it for your team, and then pass it on to anyone that will take it home. This book is that good; it's a gamechanger.